Have you ever wondered what your favorite superheroes would look like if they were re-imagined as a car? No? Oh! Fair enough. Me neither. 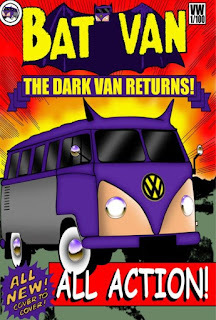 But then again someone else has, namely my good mates over at vwmotorparts.com. What they've done is to sit down and try to figure out what style of car would best fit the personality of a certain hero. 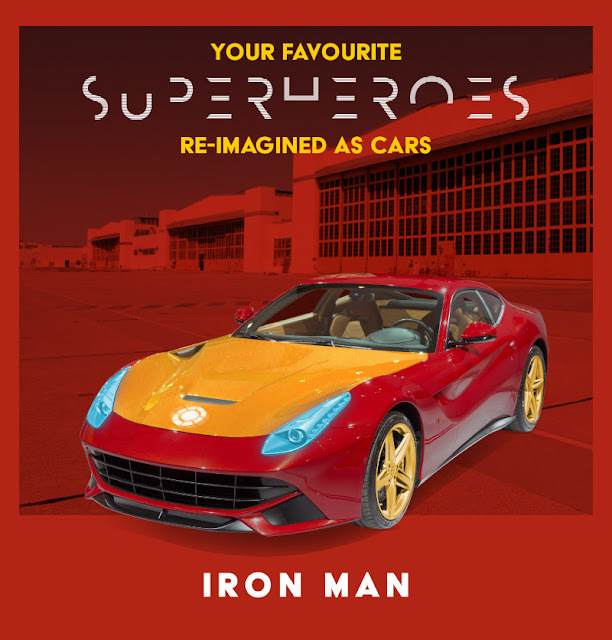 Once they finally managed to do that, they then designed the look of said-car to resemble what it should look like if it was the superhero in question. Trust me, this isn't an easy thing to do, and it did take them quite some time to agree on their choices as well as finalize the end design. What now follows are the ten cars they settled on, each complemented with a brief description and what I thought about what VW come up with. 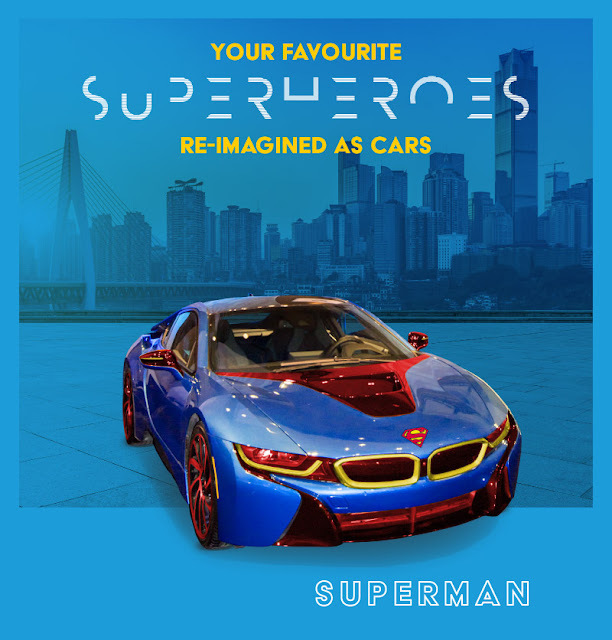 For a super man you will definitely need a super car, and I'm sure you will agree with me when I say there's nothing more super than a BMW. No, I'm not referring to a dark skinned gentleman's genitalia. Tut-Tut-Tut! Get your mind out of the gutter, naughty! 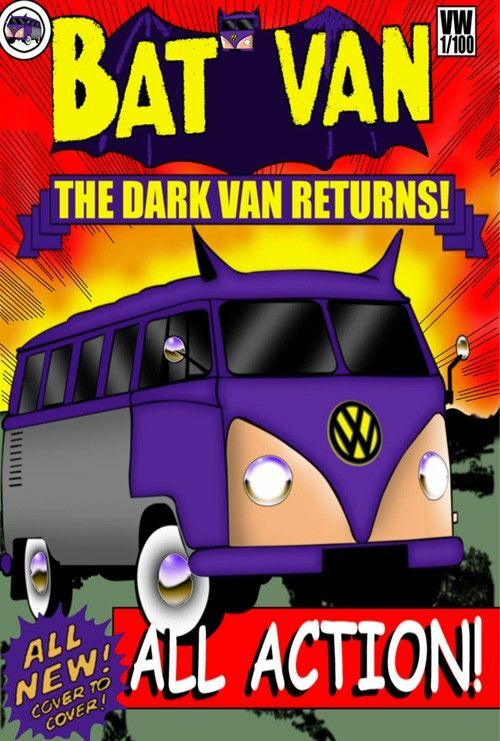 I don't think I've ever seen a Batmobile I've never liked the look of, and this one is certainly no exception. I mean, just look at it! Go on, look. 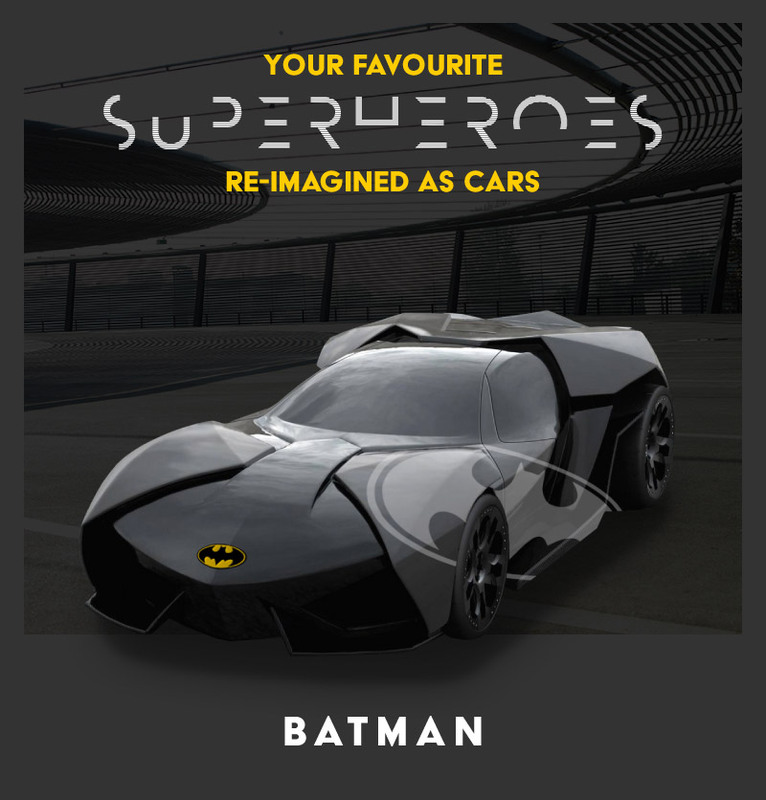 It's black, it's sleek, it has a picture of a bat on it, so what more can you ask for? For it to fly? 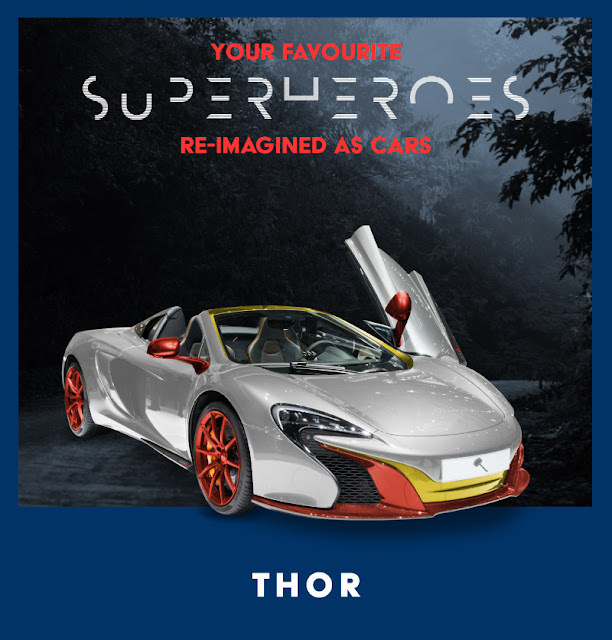 While I'm on the subject of flying, no car of Thor's would ever be complete without winged doors. I mean, for crying out loud, would any self-respecting God of Thunder like a car without wings? I don't think so, do you? Shazam!!!! 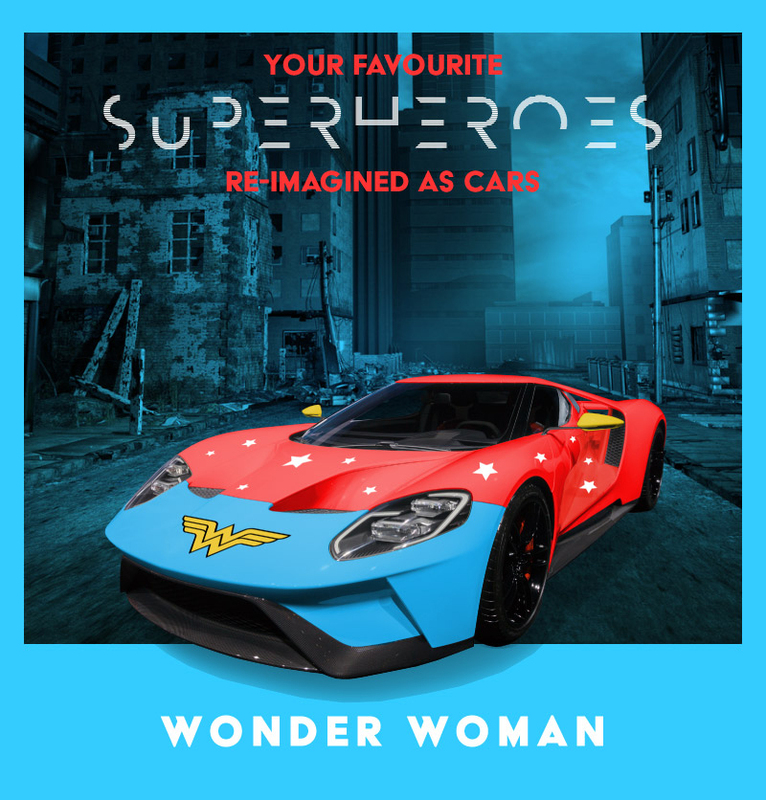 I like the seventies look of this car's design, as in many ways it pays homage to Wonder Woman's seventies TV show as well as the character herself. The only thing it's lacking, though, is a facility to test if whoever's driving it is of legal age and sober. They could call this facility, the golden DNA breathalyzer of truth. 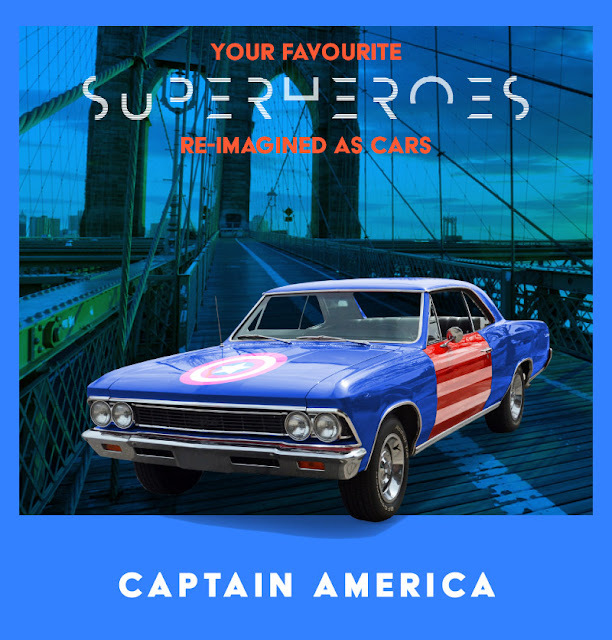 In a strange way, Captain America's car looks an awful lot like Wonder Woman's car, especially with it's seventies design and red, white, and blue color pallet. But then again, stylistically they are both similar looking characters, so it only stands to reason they should also share similar looking designs. Hulk Smash! Hulk Drive! 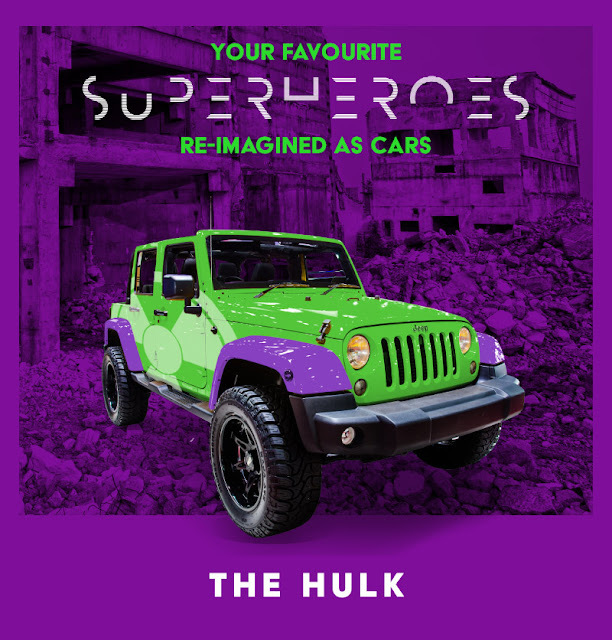 So Hulk will need a car he can both smash and drive. Thumbs up! Cheesy grin! 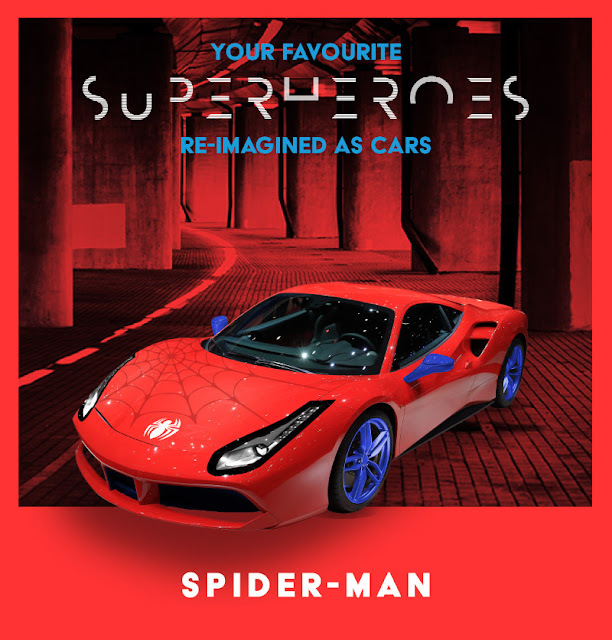 Wouldn't it be brilliant if Spider-Man's car could climb up walls? Well, it would be brilliant, all except for the poor window cleaner who'd have to wipe away the tire-marks etched all over the window-panes! 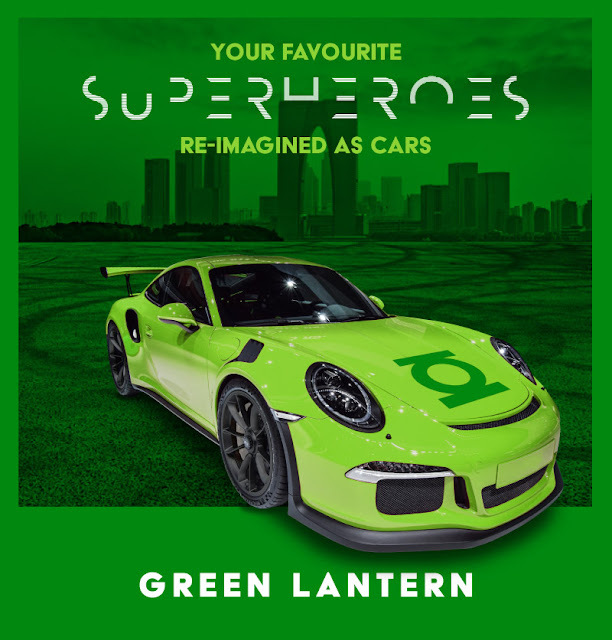 The members of the Green Lantern Corp have the power to make anything they can imagine seem tangible. Tangible, just like the aforementioned Porsche, with it's sleek looking chassis and it's malleable suspension. I like the look of this car and I like the design of it too. In fact, the only thing that's wrong with it, is that it's not made from Iron, the same metal as the man it's meant to represent. 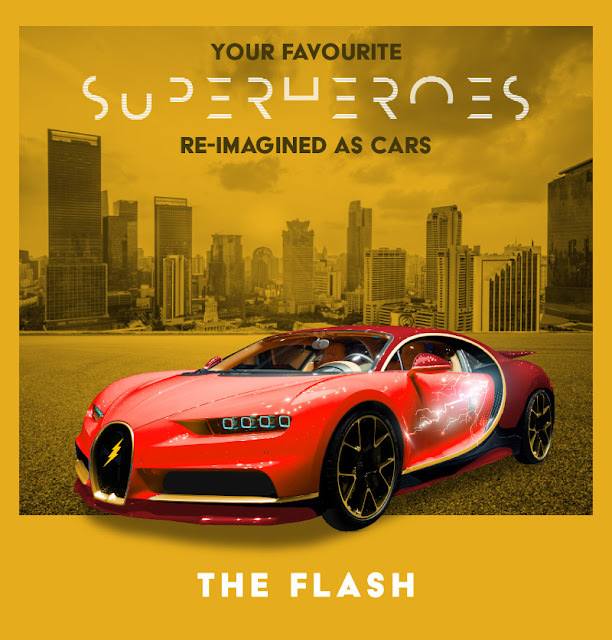 The fastest man alive will need to drive the fastest car ever made, or else he'd be the second to first fastest man alive, and he wouldn't want that. That would sound silly. Also, what would be the point if he's faster than the vehicle he's driving?